One of the filters in the Art Filters pack of Olympus Viewer 3 (OV3), the Pop Art effect, can actually be used beyond what it is basically meant for, as an Art Filter effect, to that of a catalyst for a fast-track development of suitable *.orf RAW image files. The Pop Art filter, when applied, super-saturated colors, creating a brighter and more vivid rendition of the image. Done manually, the same process will probably include edits in auto tone correction, increases in hue and saturation, and enhancement of brightness and contrast, and the time needed to make it an aspiration. Fast-track this to the development of an image, that is by using the Pop Art filter effect as the first stage of development. Add in a couple more edit tools and you will have a fairly competent post-processed image in about half or even one-third of the time you would have spent doing the edits individually. Compare that to the original image (on the right here) as shot in *.orf RAW and uploaded to OV3. Fair warning though, there is no guarantee that the method will work on all your images, maybe a couple from the set you are working on, or none at all. For other images, you might also need to edit Exposure Compensation, Highlight & Shadow Control, and maybe a couple of others. The image will be loaded first into the Image Edit Window of OV3. 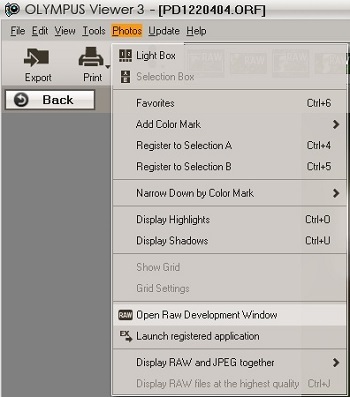 To access the RAW Development Window, pick the 'Photos' tab from the Menu Bar at the top left corner of the Image View window, scroll down and select 'Open RAW Development Window'. The image was originally shot in the 16:9 aspect ratio on the E-P5. 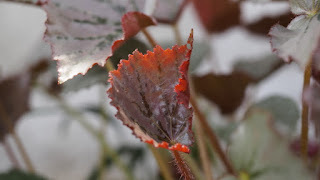 The image framing was embedded into the RAW file and cropping was automatically executed when the image was opened in the RAW Development mode. 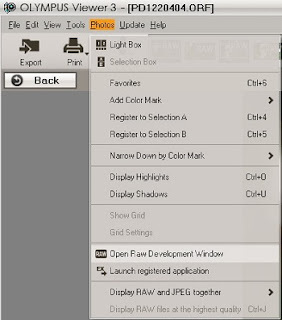 Select Art Filter from the RAW 1 development menu on the right of the screen and choose Pop Art. Art Filters are pre-fixed edits which add various creative effects to your images. Pop Art effect supersaturates the colors of the image, applying auto tone correction, increasing hue and saturation, and enhancing brightness and contrast to create a more vivid image, all done in one step, automatically. Go down the menu list and select Contrast. Contrast controls the range between lightness and darkness in the processed image. By using a “plus” setting, the brightness range is shortened and the image will have a more vivid appearance with more brilliant colors. For this image, Contrast was set to +2. Go down the menu list and select Saturation. Saturation allows you to set the level of color vividness. A “plus” value such as plus 2 will make the colors more vibrant. A “minus” value such as minus 2 will make the colors flatter. For this image, Saturation was set to +2. Move over to the Edit menu and select Unsharp Mask. Unsharp Mask is the most common type of tool used for sharpening of both JPEG and *.orf RAW image files. The tool is available OV3 as well. The process works by creating a slightly blurred version of the original image which is then subtracted from the original to detect the presence of edges. Contrast is selectively increased along the edges of the image, leaving behind a sharper final version. And you are done! Time to export the image. Once applied, the Art Filter effect is fixed. 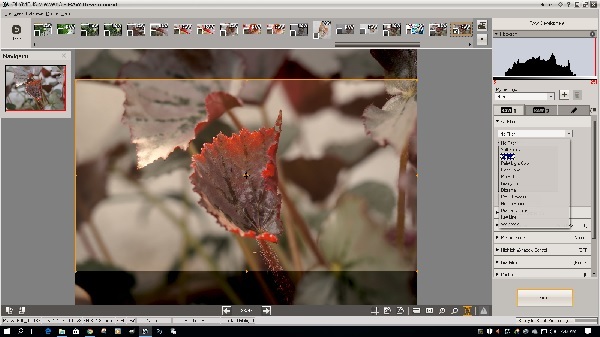 For changes that you want to be done to the image - adjusted down, or de-toned if necessary, you do so by using negative values with other applicable edit tools. For example, if the image is suddenly too bright and looks overexposed after applying the Pop Art filter effect, you tone down the overall exposure by editing Exposure Compensation to a negative value, or use the Highlight & Shadow Control tool to adjust the overall brightness of the image.